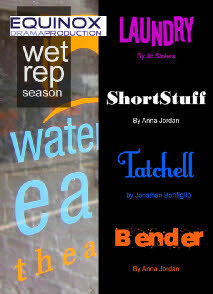 The Wet Rep Season at the Waterloo East theatre, tucked under a railway arch near Waterloo station, features 4 plays by 3 writers being performed by 1 company. 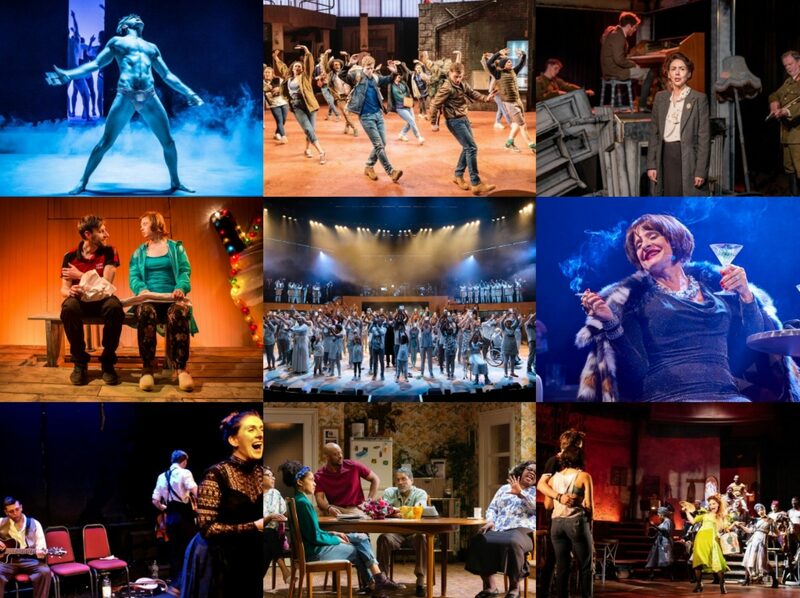 The shows are delivered in varied double bills so you can really pick which ones you want to see, or even go for the whole set and soak up a whole lot of new writing. Inspired by a Facebook page that asked its members to share their own stories and anecdotes about their nights to remember, Bender tells the story of a night out for three young people whose idea of a good night out is to get totally wasted on drink and drugs and hurl themselves into oblivion. It is a high-octane ride through getting ready to go out, pubs, clubs, post-club adventures and then the comedown which never really relents from the moment its 70 minutes start. Writer Anna Jordan has constructed a highly amusing trail through the empties and the things that happen that we’d rather forget about, which never feels less than authentic (how could it not, given the source material) and it only really falls down with a late twist into melodrama which isn’t really needed. Matthew Gammie is the ringleader (of sorts) constantly addressing the audience in a most engaging way (I learned something very new about Joop!) and his Billie is the most fully realised character, his brimming swagger and self-confidence not totally able to quite mask the quiet desperation of his everyday life and the responsibilities he knows are his. Chris Urch’s puppyish Fibs and Natasha Campbell’s sexually free Lizzy were also both strong in their portrayals, careful to lend some depth to the characters as well as playing the mad-for-it shenanigans for all they are worth. Laundry is a much shorter affair. A one-woman show by Jo Stokes that features Lucy Roslyn as a young American woman, Kate, who can’t leave her apartment. It is wickedly funny and Roslyn plays the eccentricities of a recently single, neurotic, white female perfectly with impeccable comic timing, drawing the audience into her claustrophobic world. For as the confessional style delves deeper into Kate’s personal history, there’s a suffocating intensity that builds up with each revelation accompanied by an extraordinary display of phobic behaviour that is almost too distressing to watch. Each play has something to recommend it: the fresh energy of Bender is exciting and is the kind of play that speaks to teenagers (and the teenagers inside of us) and Roslyn’s intense performance in Laundry is just haunting. So check out the theatre’s website and have your own theatrical pick’n’mix session to see some really rather good new writing.